Last night’s result in Barcelona means that the champions league final held at Wembley on May 25th will be an all German affair with Bayern Munich facing Borussia Dortmund. This will mean up to 60,000 German fans descending on the city for what will a be a wonderful weekend in the capital as these two clubs are some of the most colourful and songful in the World. will.i.am has been confirmed as special guest for Legends of The Summer featuring Justin Timberlake and JAY Z at Yahoo! Wireless Festival on Sunday 14 July. Other additions across the weekend include Sub Focus (Live), Zane Lowe (DJ Set), Bluey Robinson, Drop City Yacht Club, Devlin, Taboo and Misha B. 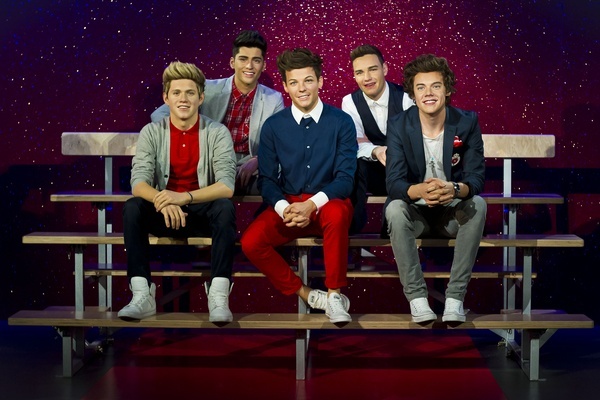 It was only a matter of time before the band that seems to have conquered the world are imortalised in wax at Madame Tussauds, the first boy band to be created by us since The Beatles’ figures back in 1964. A team of 40, including sculptors, moulders, hair stylists, colourists and wardrobe experts worked flat out for four months to create the figures which each cost £150,000 to make. 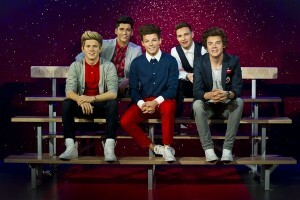 The One Direction figures are at Madame Tussauds London until July 11, 2013. On top of this there are all the regualars and the Avengers cast. This week one of the most hotly anticipated exhibitions opens it’s doors at the British Museum. The Life and death in Pompeii and Herculaneum exhibition examines the 24 hour event that left a huge area of Southern Italy was enveloped in ash and it’s secrets remained undiscovered for over 1,600 years. The Museum has been lucky enough to secure 250 unique pieces of Art, crafts and jewellery from the two effected towns which help give a unparalleled insight into life in a Roman city at that time. Demand from this exhibition has been huge so if you wish to visit book in advance. Believe it or not, it is that time of year to welcome the Universities of Cambridge and Oxford for the 159th annual Boat Race on the Thames. Last year we were basking in unusually warm weather, but this year will be a far chillier affair! Come down to the shores of the Thames to witness one of the oldest sporting events in the world, having being established in 1829. The 2013 Boat Race takes place at 4.30pm on Sunday 31st March, preceded by the reserve crew race between Isis and Goldie. The best vantage points are: Putney Bridge, Putney Embankment and Bishops Park (at the start); Hammersmith and Barnes (mid-course); Dukes Meadows and Chiswick Bridge (at the finish). Live Nation have announced a third date to their Summer concert, to take place in the Olympic Park, on Sunday 14th July. The two headliners from the previous days, Jay Z and Justin Timberlake, will take the stage together as a special preview to their North American Legends of The Summer Tour. The current development of Battersea has brought with an added bonus for tourists, with the commencement of helicopter flights over London from Battersea heliport. The London Helicopter will cost £200 for a 20 minute tour of the city, with flights all day. It’s been a long time in the planning and the suspense has been mounting… but The NEW London Dungeon opened its doors today at 10:00 am at its new location on London’s exciting South Bank. Where has The London Dungeon moved to? The Dungeon is now located in County Hall on London’s South Bank next to the London Eye and SEA LIFE London Aquarium. 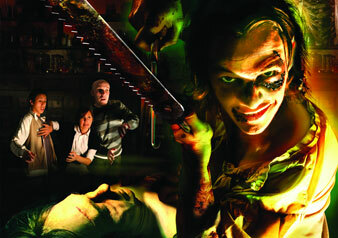 The London Dungeon takes guests on a stunning journey through 1000 years of history! Using 18 shows performed by 20 actors and two state of the art thrill rides, it is guaranteed to take your breath away and leave your heart pounding! Live, interactive and theatrical, the experience offers a unique insight into London’s more disturbing past with many humorous – as well as scary – moments along the way! Guy Fawkes – Gunpowder Plot: Guests get to discover what really happened beneath the Houses of Parliament on that November night in 1605…oh and ignore that burning fuse in the background! Henry VIII: Meet the murderous monarch for the first time, brought to life by a cutting edge 3D projection of legendary actor Brian Blessed. As we announced earlier in the year Live Nation have signed an agreement to move their festivals from Hyde Park to the Olympic Park in Stratford. Today the first line up for their annual Wireless Festival was released. This August 20,000 amateur cyclists will converge on the capital as part of Ride London, the first of a series of Olympic Legacy events, in aid of beating breast cancer. They will then embark on a 100 mile ride through London and onto Surrey. Although entrance to the event is now close, it will be a marvellous spectacle to watch this mass of bikes circling central London before heading off. Did You Know? London has a population of over 8m people at any one time.